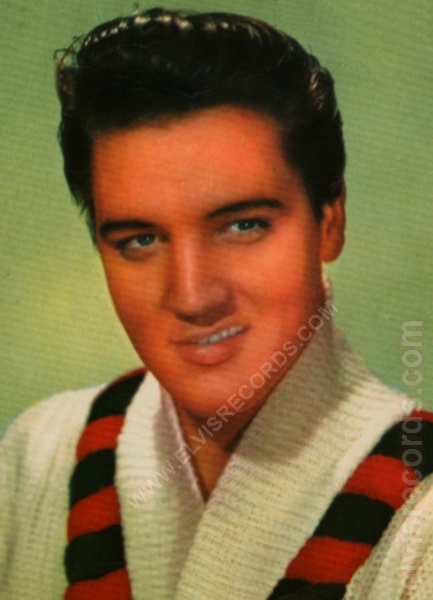 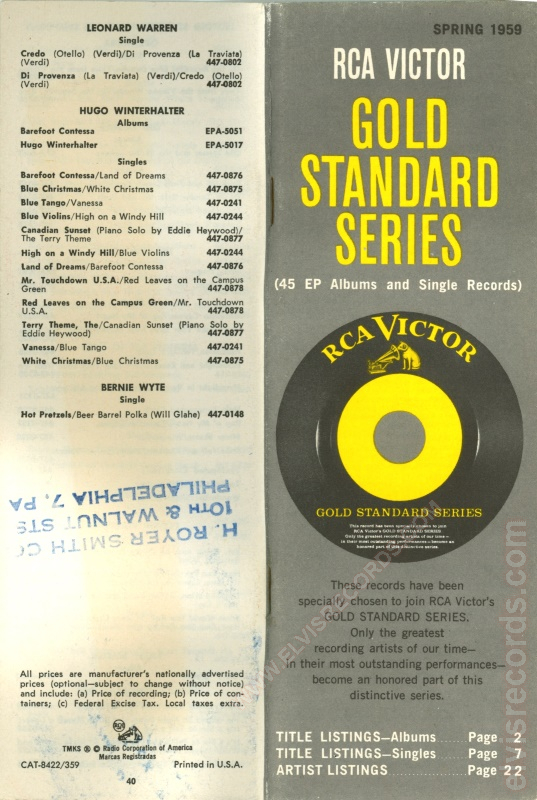 The newest release on this RCA Victor advertisement is EPA-830 Elvis Presley released in April 1956. 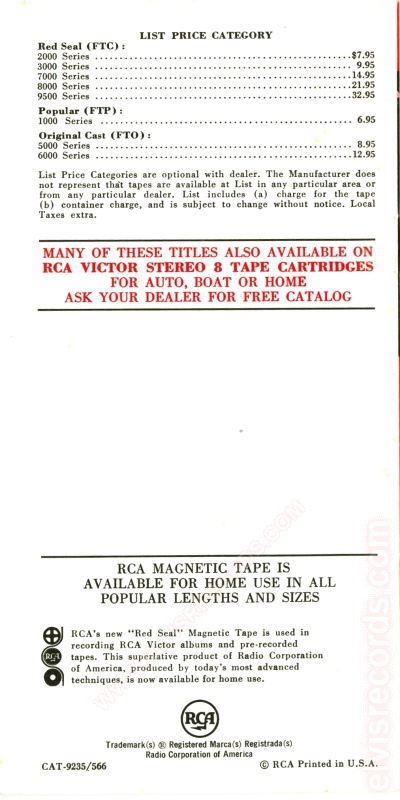 Of the two images of the back, the one on the right is a cleaned example of the image on the left. 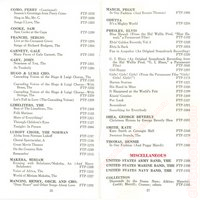 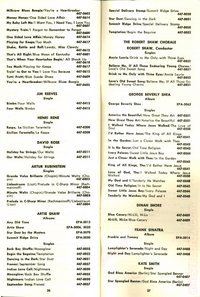 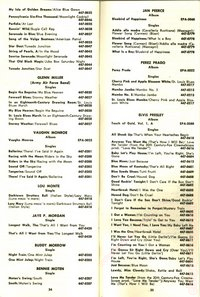 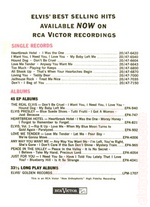 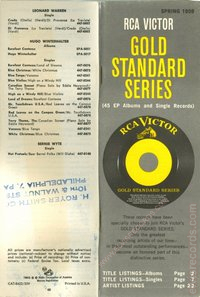 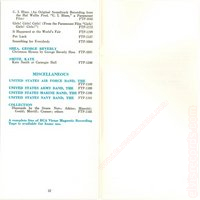 A 39 page RCA VICTOR GOLD STANDARD SERIES (45 EP Albums and Single Records) catalog. 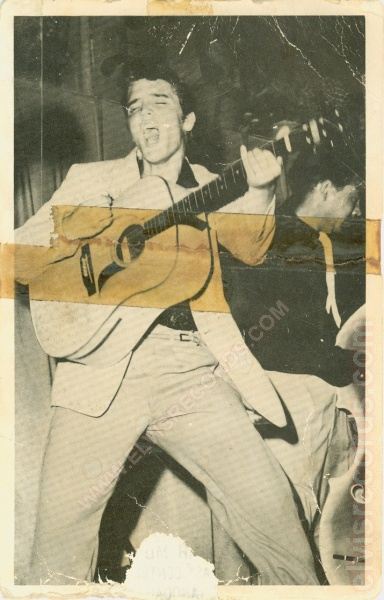 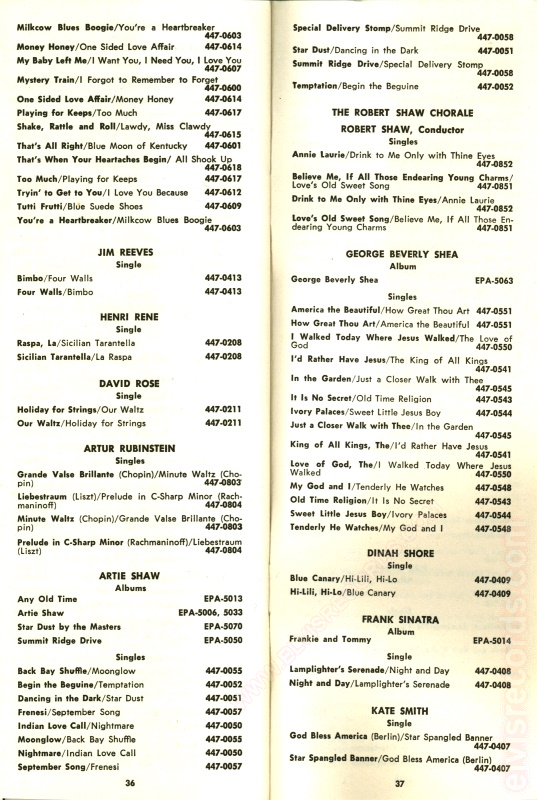 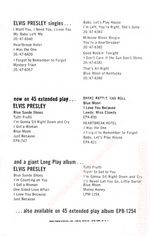 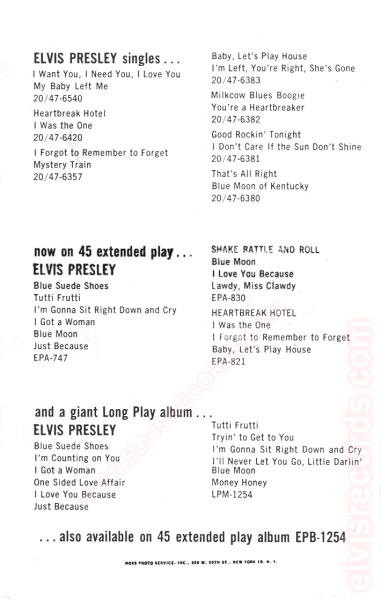 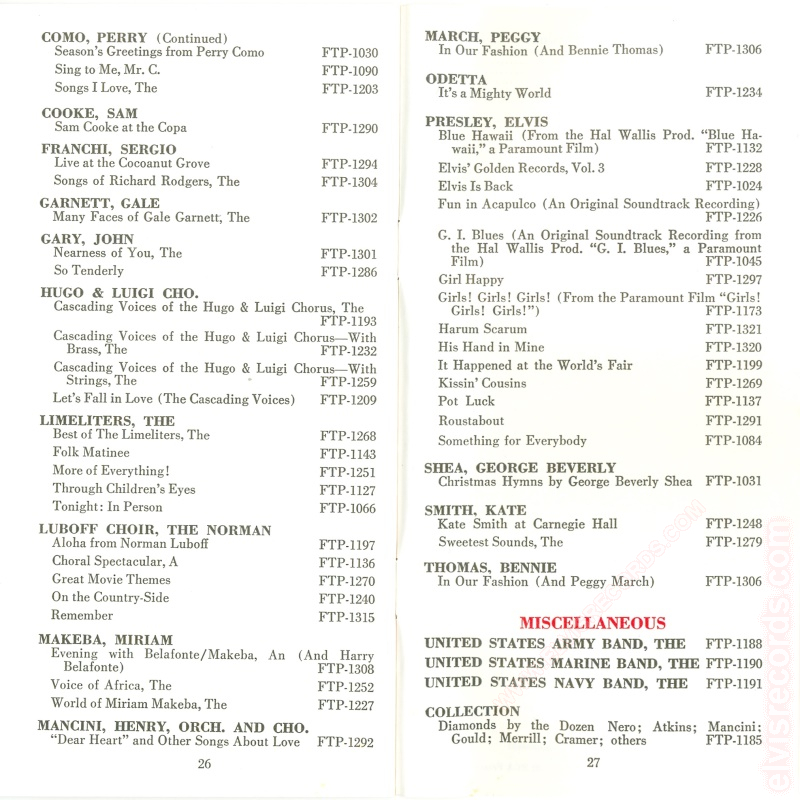 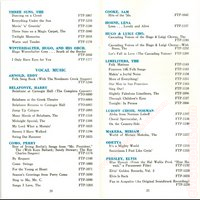 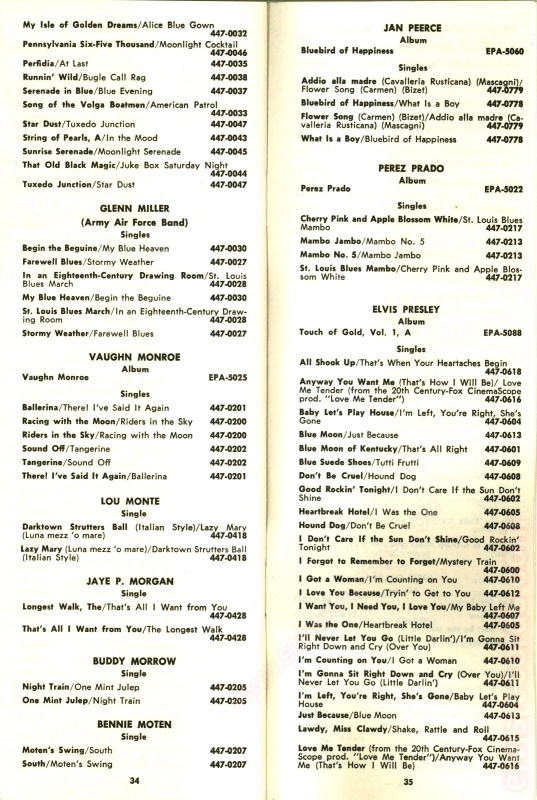 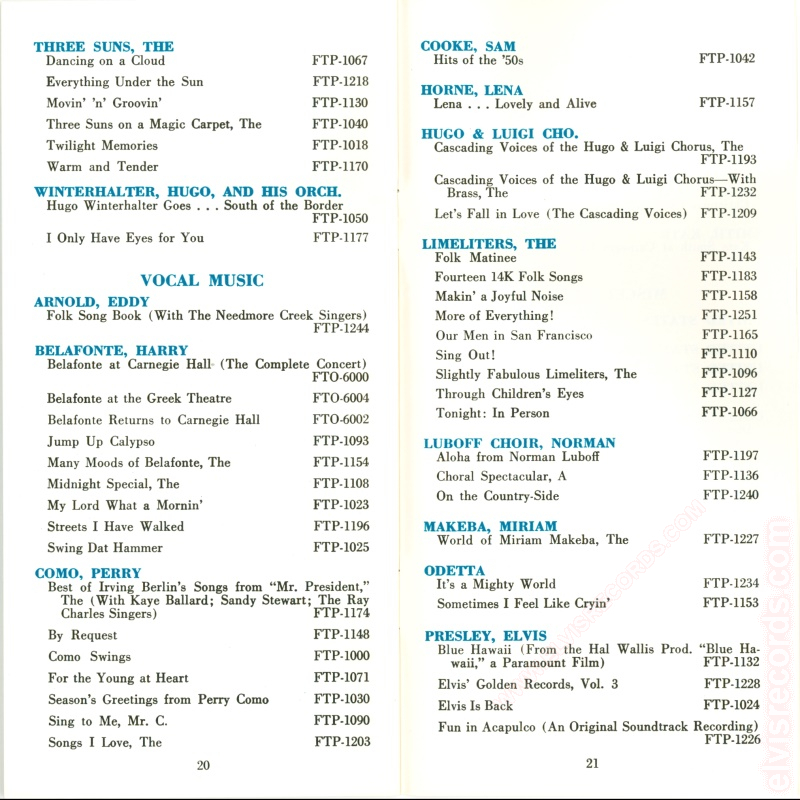 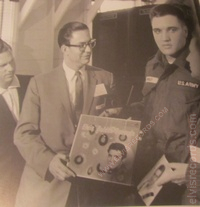 These scans highlight the cover and the pages where the Elvis Presley catalog numbrers are found. 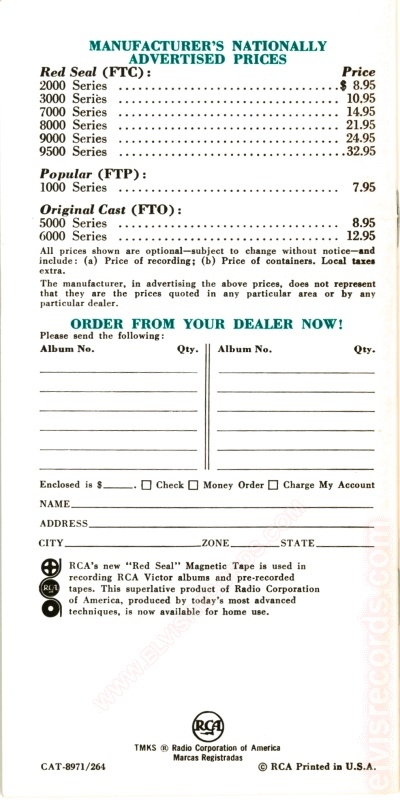 Measures 8" x 2 5/8". 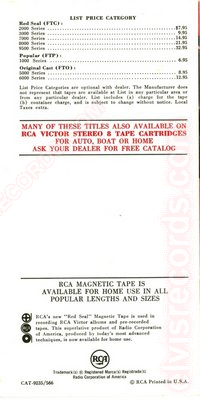 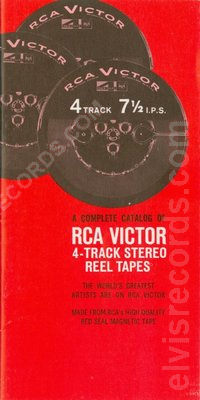 A 22 page RCA VICTOR 4-TRACK STEREO REEL TAPES catalog. 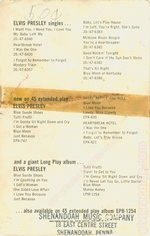 These scans highlight the cover and the pages where the Elvis Presley catalog numbrers are found. 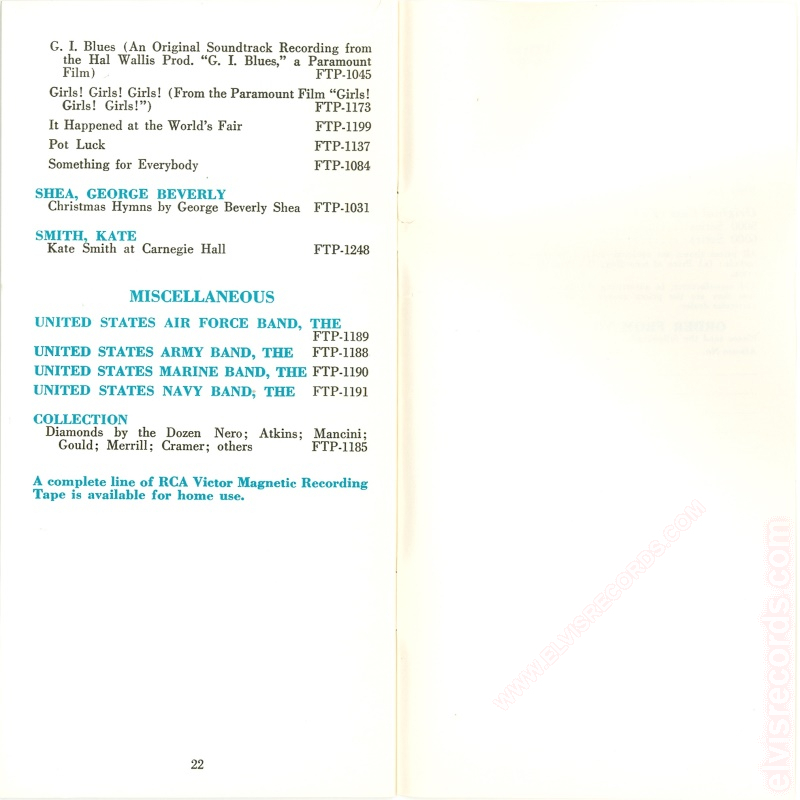 Measures 6 3/4" x 3 3/8". 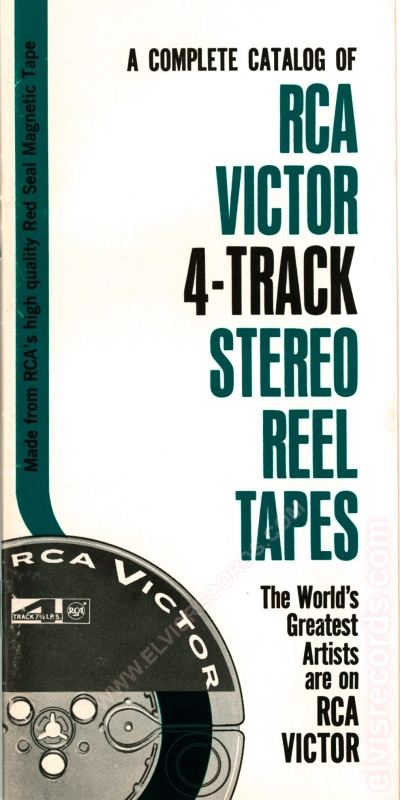 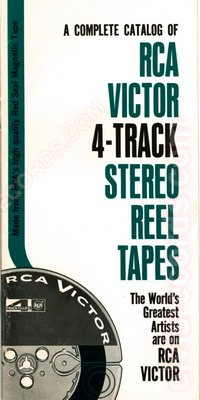 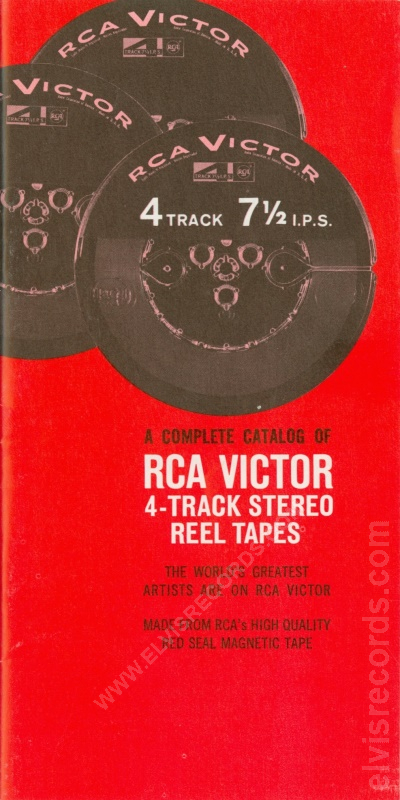 A 27 page RCA VICTOR 4-TRACK STEREO REEL TAPES catalog. 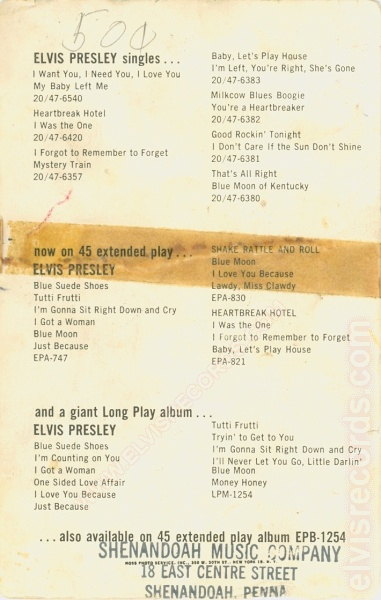 These scans highlight the cover and the pages where the Elvis Presley catalog numbrers are found. 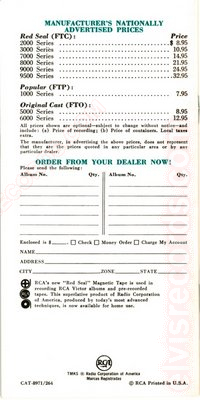 Measures 6 3/4" x 3 3/8".